We find one related article to your niche, spin & make them unique from the original article. All links will be publicly viewable & for lifetime. All Links will be created manually by our trained stuffs. Your targeted keywords & urls. Note: We don't grantee for ranking. traffic or all 100 backlinks indexing. 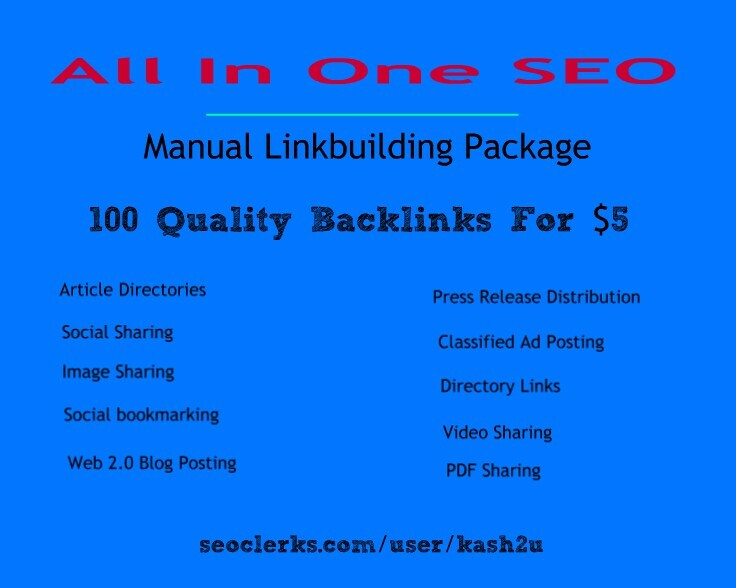 All In One Manual SEO Link Building Package is ranked 5 out of 5. Based on 1670 user reviews.